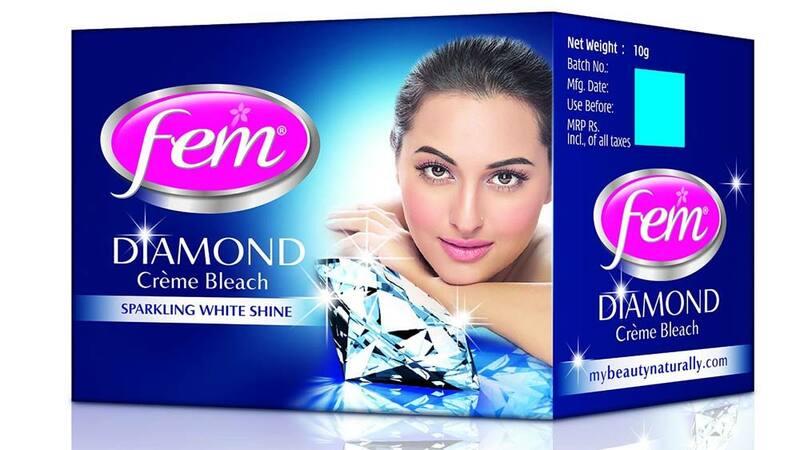 Fem Diamond Crème Bleach is available in two SKUs: single-use pack for Rs 40 and triple-use pack for Rs 80. Reinforcing its presence in the Skin Care market, Dabur India Ltd has launched the premium Fem Diamond Crème Bleach. The specially formulated diamond crème bleach is packed with real Diamond Dust to give lasting sparkle white shine and glow to the facial skin. The dermatological tested Fem Diamond Crème Bleach comes with pre-bleach and post-bleach cream add-ons that help optimize skin rejuvenation and nourishment for a pleasant bleaching experience. “Every woman today desires to have smooth glowing skin with no dark spots, patchiness, sun tan etc. Hence they always have a hidden wish for flawless complexion and skin. We, at Dabur, are now delighted to offer this unmatched Fairness experience to our consumers with the new premium Fem Diamond Crème Bleach,” said Prashant Agarwal, Category Head-Facial Bleaches, Dabur India Ltd.
“With skin problems like tanning, clogged pores and dead cells etc. becoming routine due to today’s hectic lifestyle and environmental hazards, Fem Diamond Crème Bleach would continue to provide consumers solutions from these problems giving their skin long lasting glow and fairness with a healthy and pleasant Fairness experience,” Agarwal added. The new Fem Diamond Crème bleach is a result of thorough consumer and dermatological tests, backed with strong R&D support. “Apart from giving instant and long lasting glow and fairness by reducing the melanin level considerably, facial bleaching also helps clean clogged pores thereby helping the skin breathe, reduce pigmentation and remove dead cells. This makes bleaching not just a special occasion use skin care product, but a regular part of one’s healthy skin care regime. Once or twice a month use of facial bleach is ideal to maintain a lively and glowing face,” he said. Diamond is the fastest growing sub segment in the bleach category and with Fem Diamond Crème we plan to leverage the space by offering an upgraded product with the promise of ‘long lasting shine’, a first in the category,” noted he. Fem is one of the five Master Brands of Dabur India Ltd with a range of products for the Skin Care and Salon category. Fem is also the country's Most Trusted Facial Bleach brand. The Fem range today has five different facial bleach products to cater to the varying skin types of Indian consumers: Fem Fairness Naturals Saffron Crème Bleach for fair complexion, Fem Fairness Naturals Pearl for wheatish to dark complexion, Fem Fairness Naturals Gold Bleach for special occasions to provide a long-lasting Golden glow, Fem Turmeric Herbal Bleach for all skin types and the latest addition Fem Diamond Crème Bleach for sparkling white shine. Kaya raises stake in Iris Medical Centre..